There is little to enjoy about cleaning and domestic chores. If there was, mothers wouldn’t spend so much time complaining about them. They may be necessary, but spending more time than you have to on household chores is never the right way to go. Why work harder, when you can work smarter instead? There are all kinds of great life hacks out there which can help you to clean your home faster. From handy tips for clearing the gutters, to clever tricks for removing coffee stains, the hot new motto is ‘Clean Less, Live More.’ Because who wants to be stuck scrubbing the bath, when there are so many adventures to be had outside? This guide to the best home cleaning hacks is guaranteed to make your life easier. So many issues with damp, mold, and mildew stem from problems with gutters and roofing. This is why you need to regularly check for obstructions and damage. 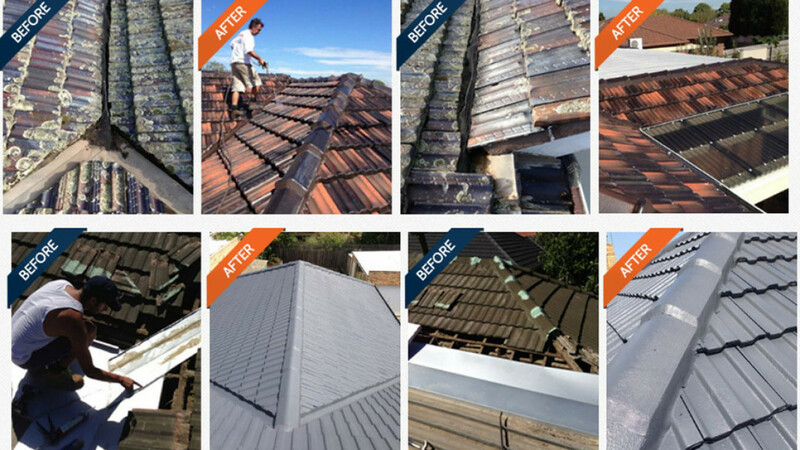 If you do spot a missing tile or a cracked gutter, a reliable repair company like Roof Resto can help you fix it. The options for cleaning a mattress are very limited, but you can spritz them with vodka as a way to disinfect the surface. Just make sure that you give the mattress plenty of time to dry out afterwards. If your microwave is caked in gunk, place two lemon halves in a dish of water. Heat until the water begins to boil. Let the dish rest for 1-2 minutes. When you open it up, the stains should wipe away without effort. Stop dust on ceiling fans from ending up in your hair by using this neat trick. Take an old pillow case, hook it over each of the blades, and pull gently backwards. This should contain the dust inside and leave the blades looking spotless. The narrow grates of air conditioning vents can be a pain to clean. They are too thin to accommodate fingers, so wrap a butter knife in a moist cloth. Use it to scrub each of the grate openings. The next time that you are setting up for a barbecue, clean the grill with an onion half on the end of a fork. It will remove the grease and grime and enhance the flavour of whatever you decide to cook. Use white vinegar to remove unsightly scorch marks on pans. Cover the bottom of the pan with water and add a cup of vinegar. Simmer on a low heat. Take the pan off the stove and add two tablespoons of baking soda. Empty and scrub. Sometimes, oven dishes get caked in the remnants of old meals. To remove this dirt, ball up a wad of aluminium foil and use it to scrub the grime from the surface. Add a little dish soap and the dirt should come off easily. You can clean your oven splashback with a few drops of cooking oil on a clean paper towel. This works because oil attracts oil, so feel free to be amazed when the greasy stains vanish. For a quick way to scrub rings off the tub, cut a grapefruit in half and sprinkle the inside with salt. Take the fruit halves and use them as a scouring device. There is nothing worse than breaking a glass having to tiptoe around the kitchen avoiding stray shards afterwards. To prevent nasty injuries, rub a slice of white bread over the floor. It will pick up even the smallest pieces of loose glass or porcelain. If the surface of your iron has become misted, clean it with a little salt and some aluminium foil. Sprinkle the salt on the foil. Run the iron over the top, but do not use the steam function. Grating a piece of raw potato will remove all of the bits of cheese left behind on a regular grater. The firmness of the vegetable and the oxalic acid that it contains is an effective cleaner. You also need to keep a close eye on the outside of your home. If there are trees beside the property, the branches have the potential to break off and cause damage to the roof. This is why overhanging branches should be cut down or professionally removed by an expert. It might sound counterproductive to suggest making room for untidiness, but the reality is that all homes have their messy bits. Clutter is a normal part of family life, but you can control it by allocating a room or special space for bits and pieces that don’t belong. The bottom line is that you shouldn’t be spending more time cleaning your home than enjoying it. So, be clever about your household chores and find some nifty hacks that work for you.